A series of dynamic hands-on programs challenge and involve Jewish youth. A series of dynamic hands-on programs designed to challenge and involve Jewish youth, regardless of religious commitment or affiliation, in their priceless heritage. Its innovative approach is designed to unite generations, invigorate family interest in the beauty of our tradition and, most importantly, to provide schools and youth groups with a powerful tool in their efforts to inspire their students. The greatest challenge facing Jewish educators today is to make the quantum leap from passively learning about Judaism, to actually doing the Mitzvoth. Our workshops address this challenge. By providing a positive hands on experience, we give the child the chance to experience a personal and meaningful appreciation of Jewish tradition. 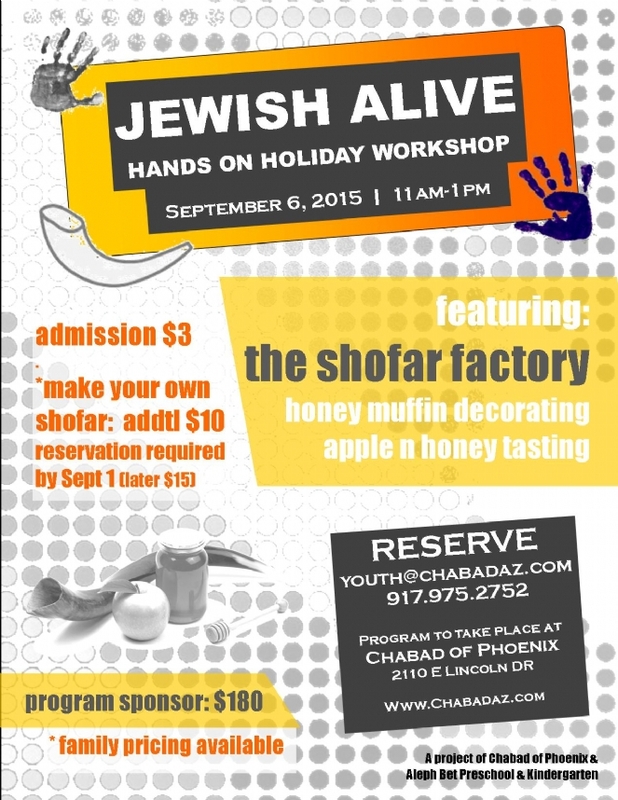 The Craft Workshops are available to every Jewish child throughout the state of Arizona. Each workshop has been designed as a portable unit which is brought your school, synagogue, youth club, or other location.